By Xah Lee. Date: 2018-05-24 . 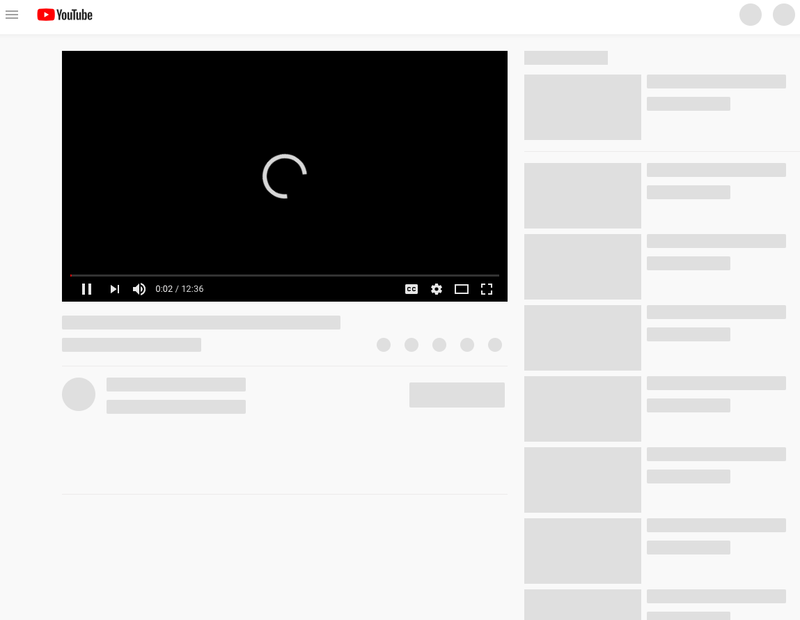 Last updated: 2019-02-09 .
about few weeks ago, when you load YouTube, it start with gray boxes that are later filled with text. I suppose it's implementation change starting with some kinda template? turns out, it's called skeleton screen, a new fad. you can search that phrase and lots articles will turn up. it actually slows the page down, and adds bloat. the web designer gurus, are always the most idiotic. They made things worse and worse over the past 20 years.